World Water Day, on 22 March every year, is about taking action to tackle the water crisis. Today, 1.8 billion people use a source of drinking water contaminated with faeces, putting them at risk of contracting cholera, dysentery, typhoid and polio. Through Brita's partnership with ME to WE, every specially-marked Brita® purchase ensures one year of clean water for someone who really needs it. Imagine if getting a drink of water wasn't as simple as turning on your tap. Imagine you had to trek miles to a dirty river or polluted well and lug a 40-pound jerry can back to your family. Imagine you did this multiple times a day because it was essential to the health and survival of your family. Now imagine you are only 12 years old. Clean water isn't a luxury. It is a basic human right. But millions of people around the world don't live near a reliable, clean water source or have access to sanitary washing facilities, leaving them at risk of illness from waterborne diseases. Improving access to clean water is one of the most crucial and quickest ways to lift a community out of poverty. It reduces illness, allows children to return to school instead of collecting water and leads to improved agriculture and access to food. Through the purchase of the Brita® Limited Edition ME to WE Statement Water Bottle, Canadians are standing up for clean water for communities like Irkaat, Kenya but also, here at home. Brita filtering bottles remove contaminants in tap water and replaces up to 300 plastic water bottles from ending up in landfills. Filter for Good™ is about providing for clean water for everyone. 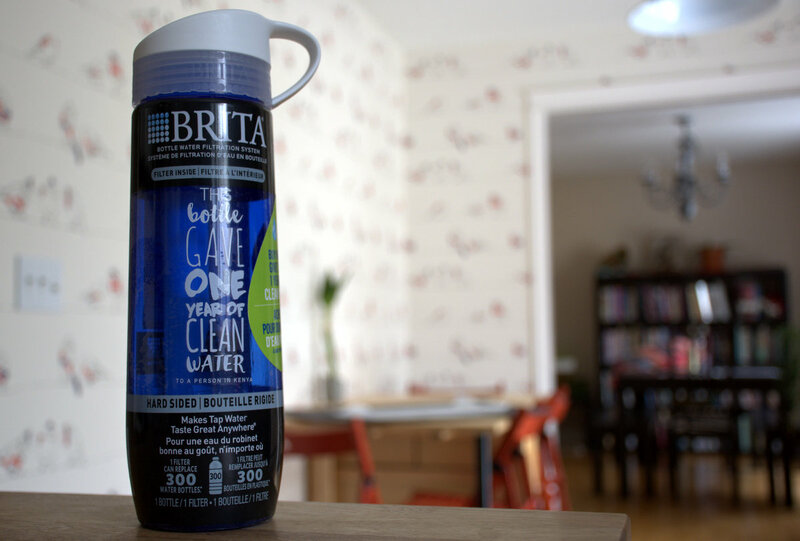 Help reduce bottled water waste by switching to Brita filtered water! The ME to WE statement bottle will be available to purchase from Wal-Mart and The Real Canadian Superstore, priced at $19.99. I was sent a ME to WE bottle. Opinions and photographs are my very own but I wholeheartedly support this very worthy cause.